This course teaches students how to administer the SAS Metadata Server and the initial authentication process. Students learn how to secure the SAS Intelligence Platform and the content that it contains and how to identify and administer the different types of users. Students also learn to identify and establish various security techniques, secure data and other shared content, and troubleshoot metadata security. 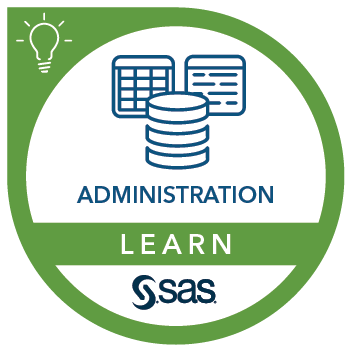 This course can help prepare you for the following certification exam(s): SAS Platform Administration for SAS 9. Before attending this course, it is useful but not required to have experience with the platform for SAS Business Analytics. You can gain this experience by attending the SAS® Platform Administration: Getting Started course. This course addresses SAS Analytics Platform, SAS Management Console, SAS Environment Manager software.